I am an official TomorrowWorld Ambassador! I'm surprised no one on here has posted a code yet! 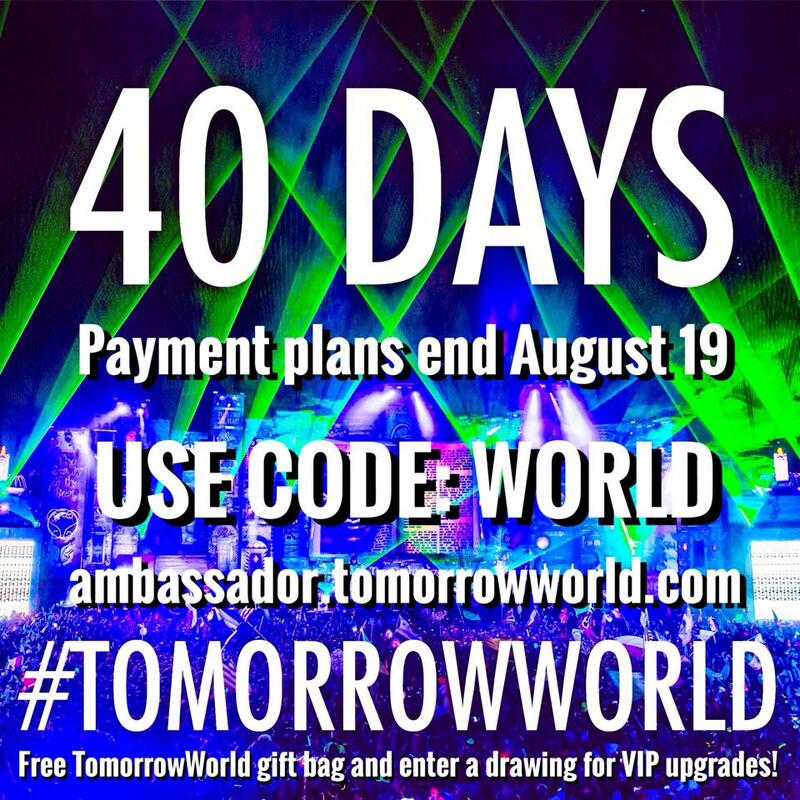 You will receive a Free TomorrowWorld Gift Bag and be entered into a raffle/drawing for VIP upgrades for your tickets you purchased! Payment Plans are available until Tuesday, August 19 at 50% down!